Four weekends ago (it was Valentine’s Day, to be exact), my dear friend and partner in culinary crime, Jeanne Wolfley, and I catered a wedding reception. Great day for a wedding reception, don’t you think? Anyway, considering the holiday and the fact that strawberries were showing up in our local grocery stores, we went with the berries. And ever since, I’ve been experimenting with all sorts of ways of featuring them in dishes and desserts. It’s the dessert option I want to talk about here. 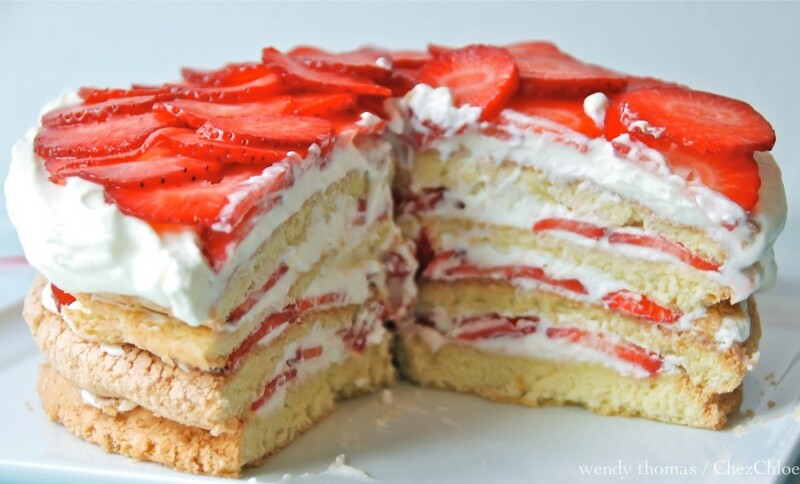 Strawberry shortcake, to be exact. After seeing this idea in an email from one of my favorite websites, Prepared Pantry (www.preparedpantry.com), the inspiration really flowed. How about this adorable take on that perennial favorite? Doing a kabob strawberry shortcake is not just clever, it’s a pretty presentation, and so convenient for the dessert eater! 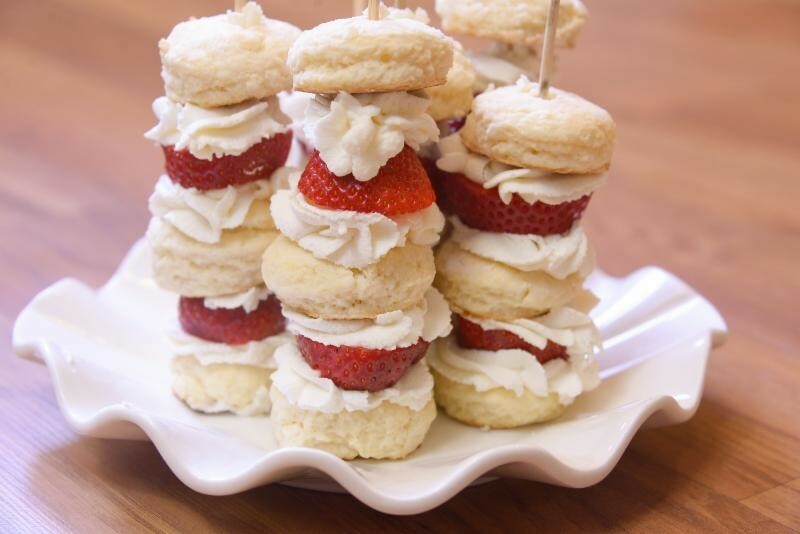 Dennis Weaver, Prepared Pantry owner and chef extraordinaire, explains that while the whipped cream was piped onto these cute mini shortcakes, you could easily substitute canned whipped cream and get the same nice affect. 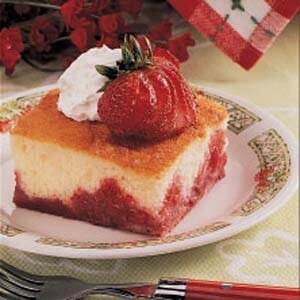 The one thing you want to be sure you have is a fairly dense base for the strawberries and cream. Some folks like the traditional store-bought sponge-cake cups. And others use pound cake. 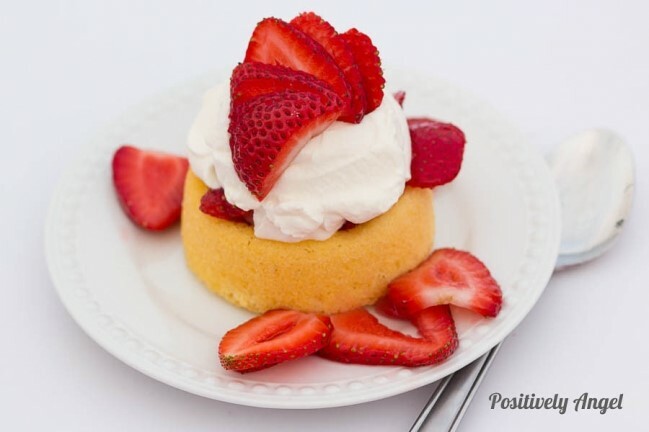 What’s especially appealing about shortcake desserts is that if you want to depart from the usual store-bought sponge cake cups, or the pound cake approach, you can easily make your own shortcake. The folks at Prepared Pantry use a biscuit mix (think Bisquick® or the recipe I shared in last week’s newsletter (see article “Flour from Your Food Storage,” MASTER BAKING MIX recipe), and that’s what I’ve always done as well. There are lots of shortcake recipes out there, but they all tend to be similar and related to a sweet baking powder biscuit. So once you have your shortcakes prepared, then it’s time to get creative. For instance, how about adding sliced bananas? And drizzling chocolate or caramel sauce over it all would turn it into a strawberry shortcake sundae! 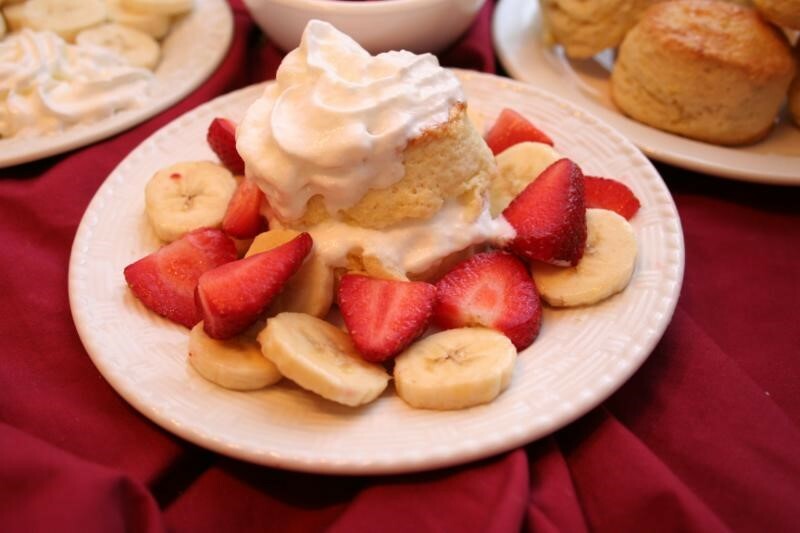 Another idea for a sweet biscuit-based shortcake is to make several large flat rounds and layer them as shown in this picture, with thinly sliced berries and whipped cream. Then you’d serve pie-shaped wedges. I have to say, though, one of our favorite versions of this dessert is the Brownie and Strawberry Shortcake. The chewiness of the brownie combined with the whipped cream and lovely texture of the berries is divine. Then there’s this pretty Upside Down Strawberry Shortcake. I just found this on the Taste of Home site and am anxious to try it. The reviewer said the cake is moist, yet dense enough (as mentioned above) to hold up to lots of berries and whipped cream. It takes about 20 minutes to put together and bakes for about 45 minutes. Sprinkle marshmallows evenly into a greased 13-in. x 9-in. baking dish; set aside. In a small bowl, combine strawberries and gelatin powder; set aside. Pour batter over the marshmallows. Spoon strawberry mixture evenly over batter. Bake at 350° for 45-50 minutes or until a toothpick inserted near the center comes out clean. Cool on a wire rack. Cut into squares. 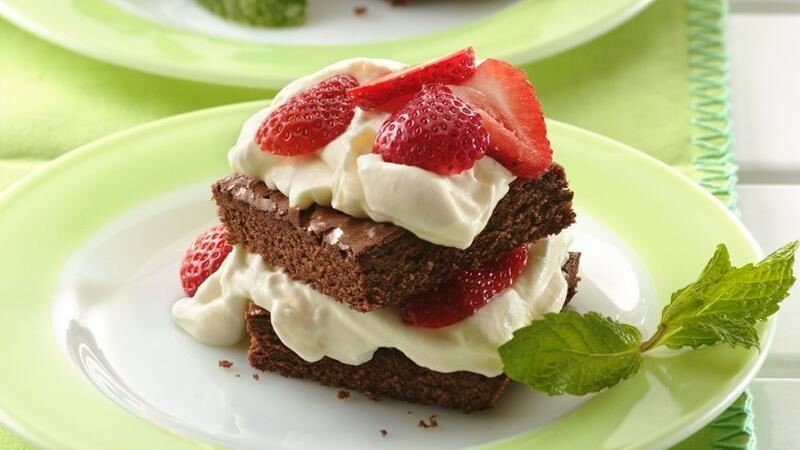 Garnish with strawberries and whipped cream. Let’s conclude with some talk about hulling and slicing strawberries. As you can see from the photo, there are actual tools for these jobs. 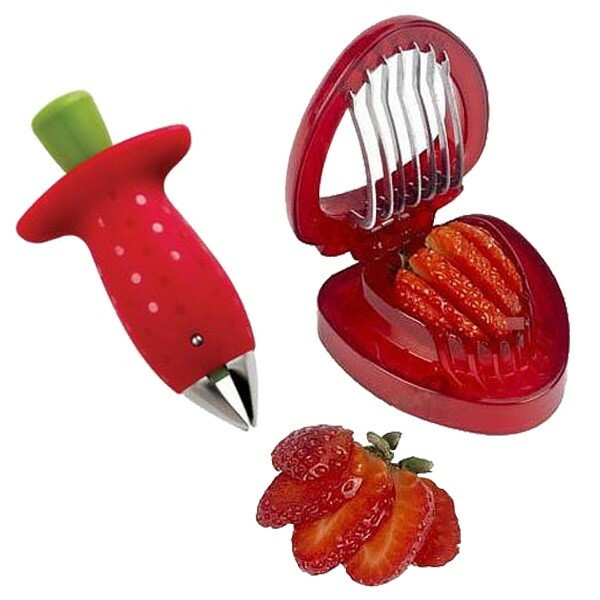 And if you are super picky about the looks of your sliced berries, you might want to have these tools on hand. Jeanne and I have found, though, that a very sharp paring knife turns out even-enough slices. And as for the huller—nah. I just lop off the tops and toss them in my blender for use in my green smoothies. There are lots of vitamins in those little leaves. But however you choose to prepare your berries, do throw caution to the wind and experiment—there’s a real “Stravaganza” hiding in those beautiful berries!